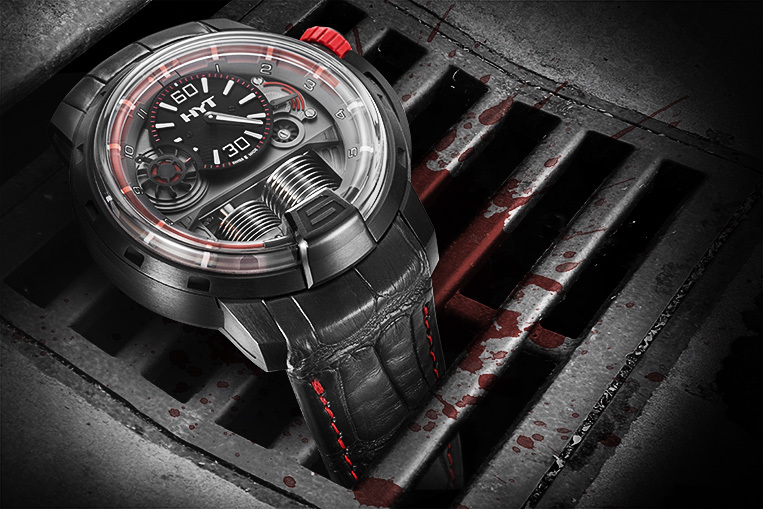 Luxury watches for superheroes | Watchfinder & Co.
A movement in the shadows. A rush of air. A startled fox, knocking down an empty bin. That’s all you’ll see of him, but he sees everything of you. He’s the watchman of the night, the protector of the innocent, the fighter of evil. And, of course, he needs to make sure he’s at the right place at the right time, and for that, he’ll need a watch. We take a look at which timepiece a caped defender of the city’s streets might wear—take note future vigilante justice orphan billionaires! What does a person looking to match the stealth of a ninja with the speed of an express train and the agility of a cat on a hot tin roof look for in a watch? First of all, they would need it to be inconspicuous. That rules out pretty much the entire neon palette for a start, leaving not much else but black watches to choose from. And what else? Readability. 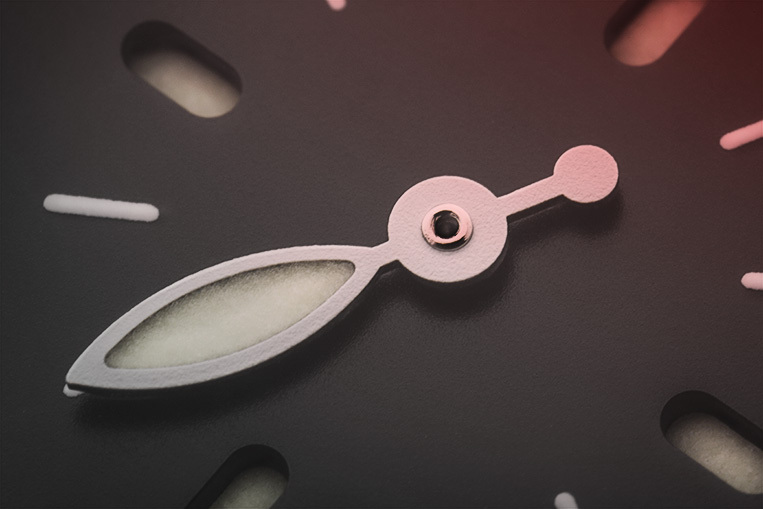 A big, clear dial. That’s a given. 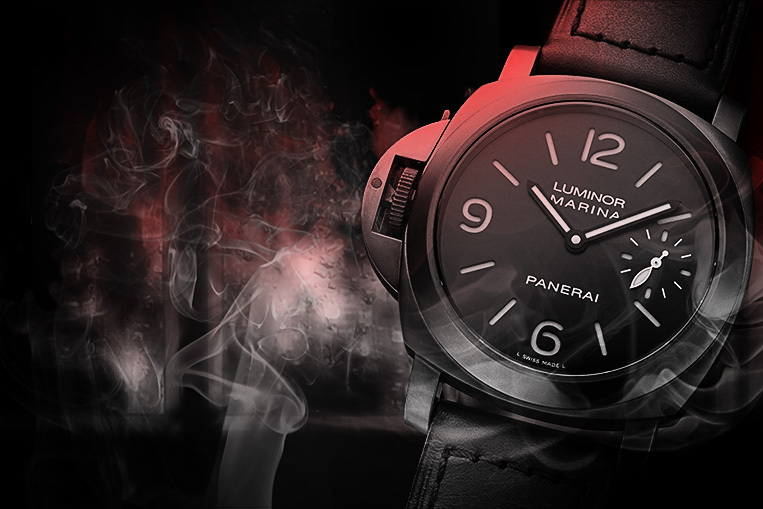 Funnily enough, the original Panerai Luminor was designed more or less for the same scenario, albeit underwater. Italian frogmen wearing Panerai watches snuck their way through underwater minefields and wire fences to plant bombs on Allied warships during the dead of night. Alright, so they weren’t exactly protecting the innocent, but they were sneaking about, and that’s what counts, especially because they often got away with it. 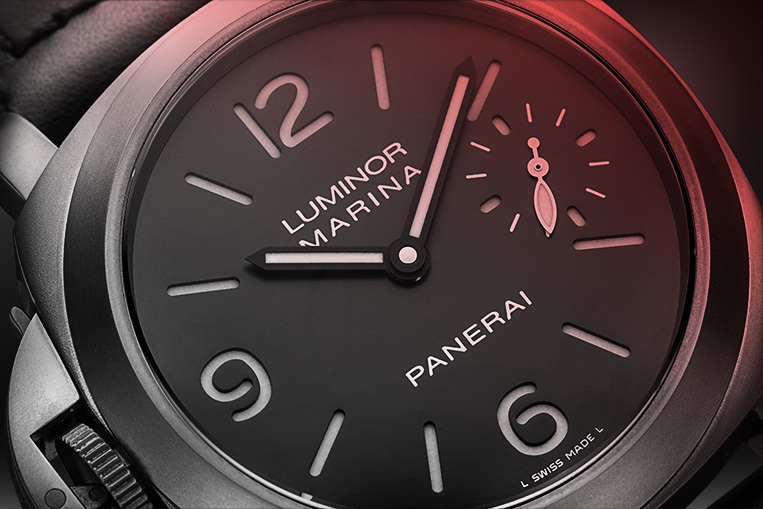 The Panerai PAM00026’s water resistant, rugged, black-coated case is just the ticket for a hero looking to remain invisible, and the simple dial makes reading it at a glance a doddle. And there’s more: the PAM00026 has bulky gloves in mind with its left-handed crown, mounted on the opposite side than is usual. 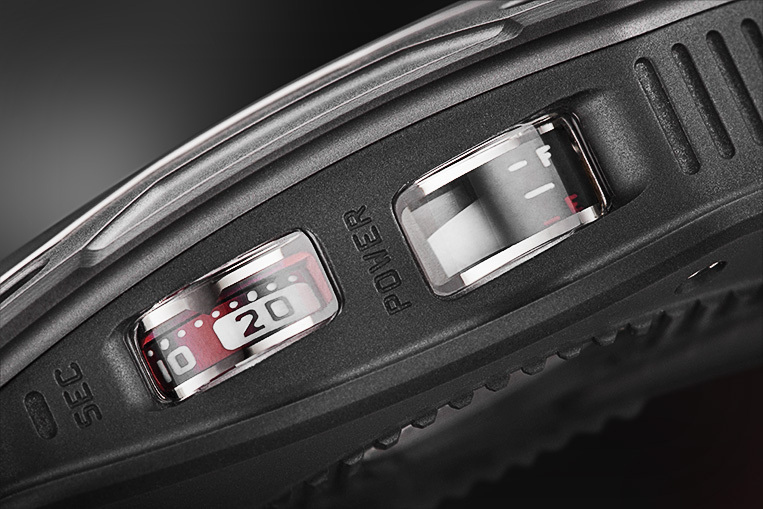 Even the black leather strap is distinctly superhero-esque. 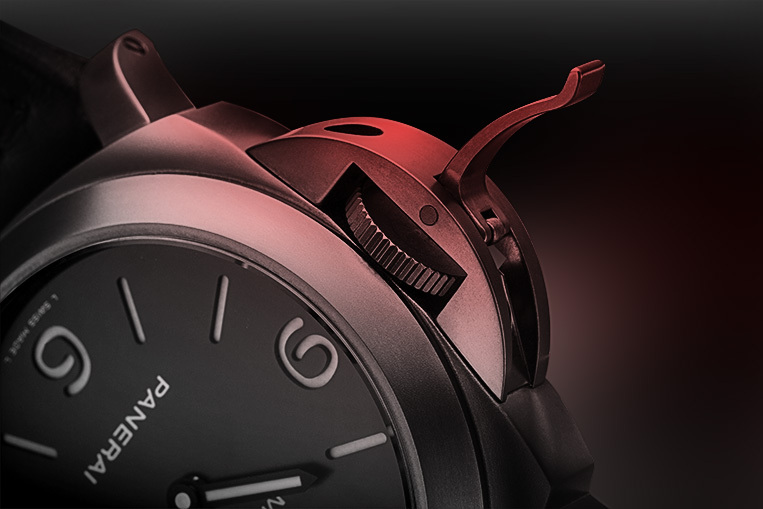 What the Panerai’s lacking, though, is a bit of gadgety excess. Why do something if you can do it in a ridiculously complicated way that employs technology that only has one realistic use instead? 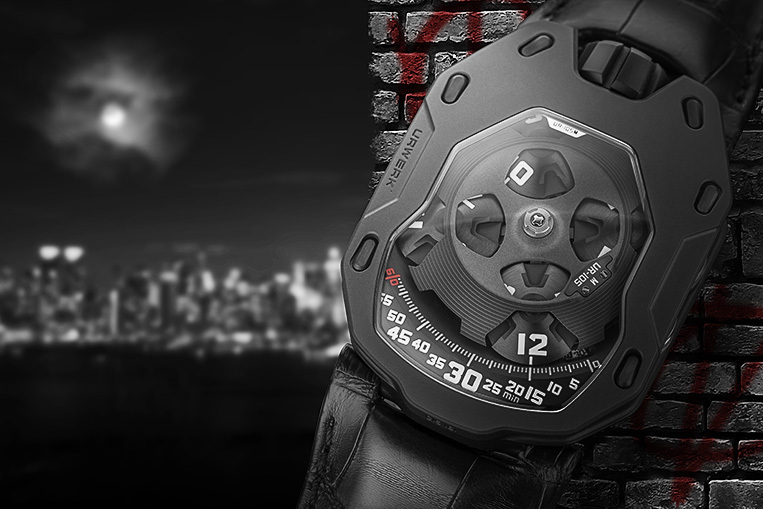 That’s the superhero way, and for that ideal, the Urwerk UR-105M AITiN is perfect. Just look at it! 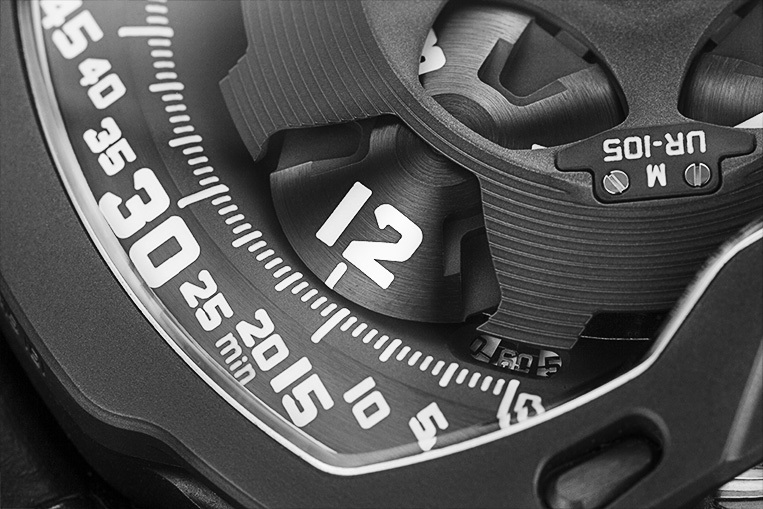 It’s got a curved matte-black case with brushed black satellites revolving around inside, going the extra mile in telling the time. It’s actually a very nice and easy watch to read, with the digital application of time feeling ‘right’ to look at, so there’s that, too. But there’s more than simply time going on here. 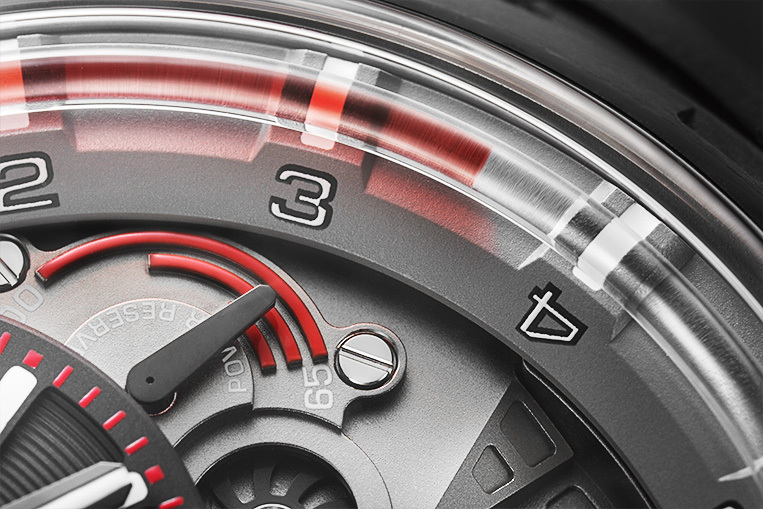 On the side of the case, two curved, magnified windows show you the running seconds, perfect for timing surprise drops out of the black, stormy sky, and the power reserve, a crucial piece of information for a night warrior not wanting to miss his mark thanks to a stopped watch. 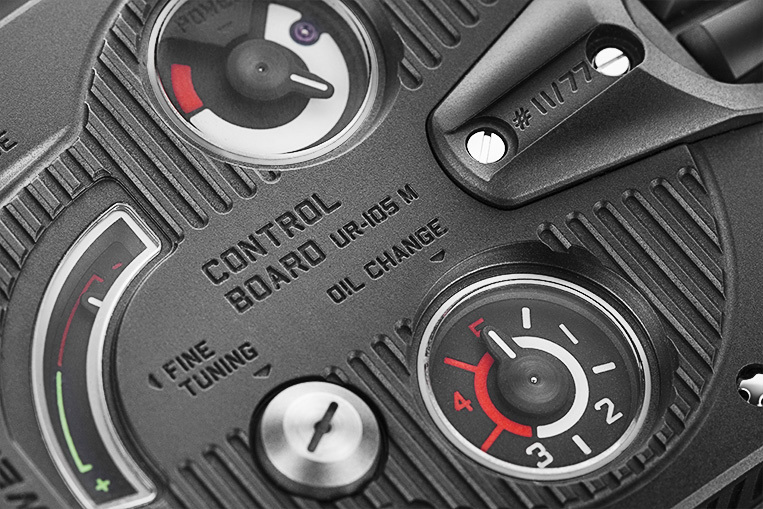 And then, when it comes to topping up the power, the Urwerk has a big, chunky crown sized just so for use with tactical gloves. On the rear, an ‘oil change’ display indicates when a service is due; hopefully it can be synched to coincide with the service of the obligatory jet car. If we’re going for gadgets, why not go the whole hog? I’m not talking death rays and grappling hooks here, I’m talking things that might actually be useful for navigating a confusing metropolis in the dead of night. 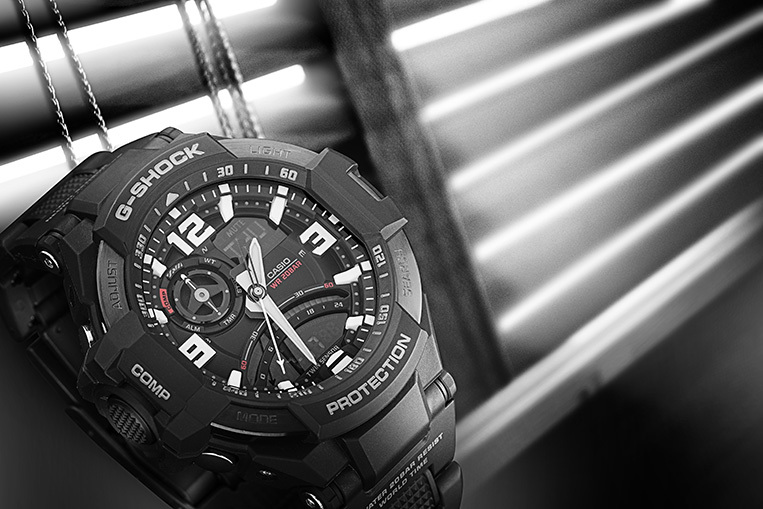 Casio’s G-Shock is pretty much an ideal partner for the practically thinking vigilante justice seeker, and its benefits are many. It has a wrist-activated backlight for single-handed time-telling, ideal when the other hand is holding them suspended into an alley; it has five separate alarms for managing all those individual calls that need responding to (because, after all, crime-fighting superheroes tend to gravitate toward cities with plenty of crime); there’s a thermometer to warn of temperature extremes (a superhero is no use in bed with the ‘flu); a multi-function chronograph (how long until the bomb blows?) and a compass for remembering which way to go to find the hidden entrance to the secret hideout. 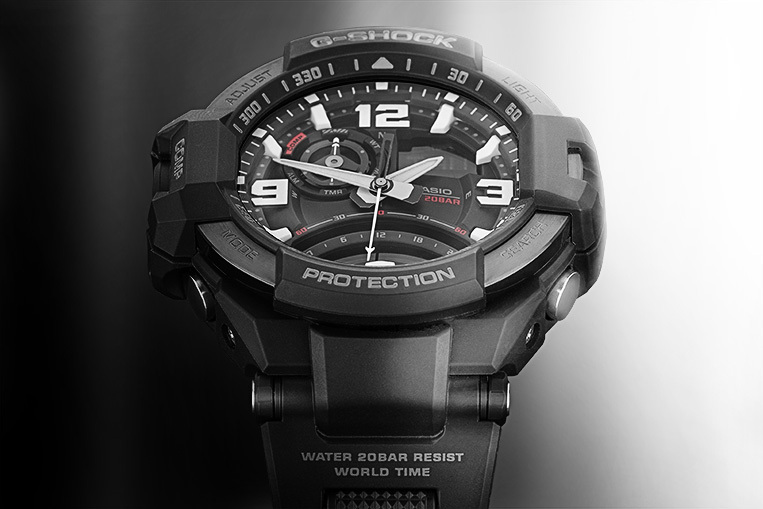 As if that’s not enough to sell the G-Shock, it also boasts a stainless steel and resin case that resists drops from ten metres (and, as we discovered a while ago, a lot more than that), an ideal insurance against the high-flying fisticuffs that will inevitably ensue. 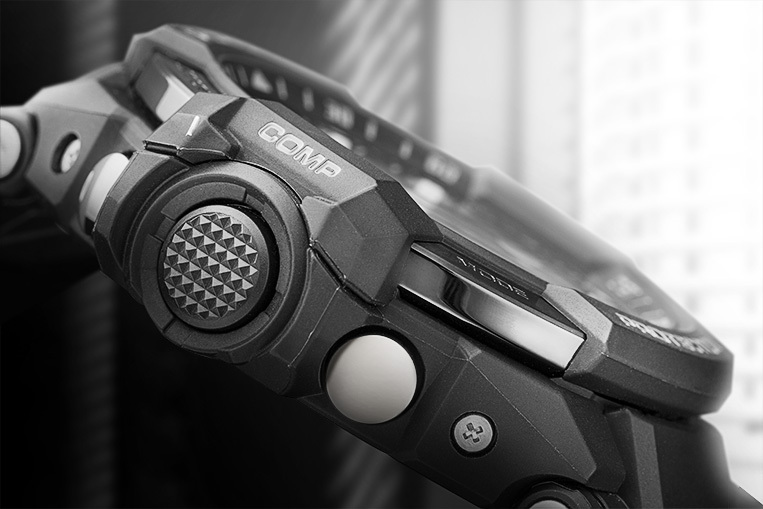 Ok, so the G-Shock is pretty functional, but it’s no looker, is it? And after all, there’s likely to be a film made of the heroic endeavours of our mysterious crusader (and a sequel, a prequel and a reboot) so it’s got to look right. It’s got to look Hollywood. 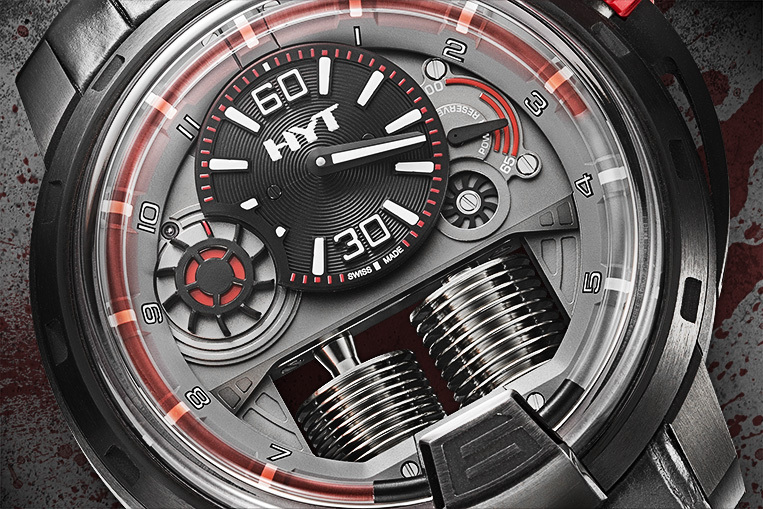 Lights, camera, HYT . . . The H1 Dracula DLC looks every bit the part on set, ripe for that wrist closeup when our hero checks to see how much time he has before whatever out-there plan is hatched by his arch-nemesis. The twin bellows and lifeblood-red liquid evoke the . . . wait a minute—this watch isn’t for the hero, it’s for the bad guy! It has all the hallmarks of the mad scientist, the glass tube chemistry-set arrangement and bold splash of colour exactly the sort of thing that would be found gracing an underground lair. All it needs is arcing electricity jumping from one bellows to the other to complete the effect. 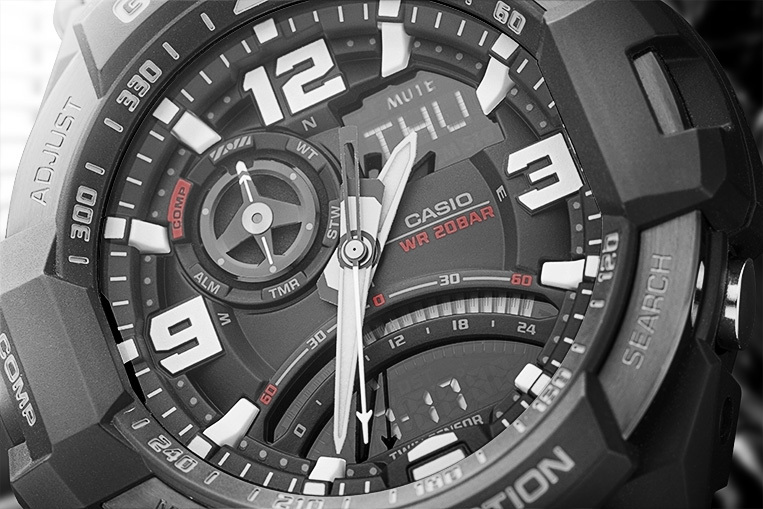 Whether fighting for good or for bad, there’s no doubt that, on the watch front, you’re spoiled for choice. 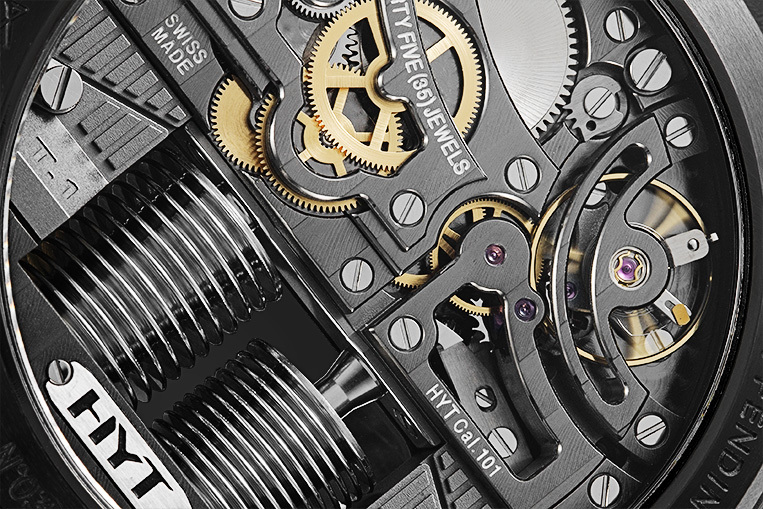 One thing that’s missing from all these watches, however, is the ability to find things. Now where did I put the keys to the jet car . . .?